Following a franchise best 105 point season, the Toronto Maple Leafs were not able to dispose of the Boston Bruins in the first round and were eliminated from the playoffs in 7 games. Following the season team President Brendan Shanahan announced that GM Lou Lamoriello would not be returning in that role, instead moving to an advisory position. Shortly after that announcement came the expected... Shanahan was installing 32 year old assistant GM Kyle Dubas as the new General Manager. Almost immediately after his promotion, Dubas oversaw the 2018 NHL Draft and shrewdly traded the team's 25th pick down 4 spots to the St Louis Blues' 29th pick, and an extra 3rd round pick as well. Luckily the player they wanted at 25, Swedish defenseman Rasmus Sandin, was still available at 29, so they got their guy and an extra pick. The draft was simply a pre-cursor to Dubas' most significant move of his young career. That occured on July 1st when he lead the charge to bring NHL Superstar John Tavares home to Toronto on a team friendly 7 year, $77 million deal that basically gives the team two #1 lines and instantly changed them to the favourites among oddsmakers to win the Stanley Cup. The addition of Tavares this season bolsters arguably the best top 9 forwards in the NHL today. Slotting him in to play with wingers Mitch Marner and Josh Hyman is line 1A, plus Matthews flanked by William Nylander and Patrick Marleau as 1B, plus Kadri alongside speedy youngsters Andreas Johnsson and Kasperi Kapanen on the 3rd line will give opposing coaches matchup nightmares, as there are simply too many weapons to keep in check. For the 3rd season in a row, the Toronto Raptors were eliminated by LeBron James and the Cleveland Cavaliers, this time in the shocking sweep as the team that finished first in the Eastern Conference fell quite short of their stated goal of reaching the NBA Finals. Not to be outdone by his colleague on the hockey side, team president Masai Ujiri pulled off his own blockbuster deal, sending star forward DeMar DeRozan to the San Antonio Spurs for disgruntled potential superstar Kawhi Leonard. With LeBron going west to the Lakers one thing is for sure... the East is wide open for the taking, and Ujiri and company are trying to remain the top seed. It seems like only yesterday, the singer was playing selections from her debut album Lights in intimate gigs across selected major cities to her loyal, steadily growing fanbase. And now? Now, she’s headlining in arenas and stadiums. In support of her forthcoming record Delirium (out Friday, November 6), the “Love Me Like You Do” singer has announced a North American leg of her 2016 Delirium World Tour. Corteo which means "cortege" in Italian, is a joyous procession, a festive parade imagined by a clown. The show brings together the passion of the actor with the grace and power of the acrobat to plunge the audience into a theatrical world of fun, comedy and spontaneity situated in a mysterious space between heaven and earth. Catch this spectacular live in Toronto December 12th - 16th at Scotiabank Arena. American folk rockers Mumford and Sons recently released their 3rd studio album Delta and announced a 60 date world tour to support it. The tour stops in Toronto for 2 shows in December at the Scotiabank Arena. Comedy star Jeff Dunham is bringing his dummies to Toronto. The Passively Aggressive International Tour will be at the Scotiabank Arena on Wednesday January 9th and see him bring out popular characters Walter, Achmed the Dead Terrorist, Bubba J and Peanut. Dunham has been performing ventriloquism comedy since the 80's and has toured all over the world. When Walt Disney first put pen to paper and created Mickey Mouse, it is unlikely he could have imagined the empire his company would turn out to be. Disney On Ice: 100 Years of Magic celebrates that empire, with appearances from characters such as Mickey & Minnie, Elsa & Anna, Cinderella, Pinochio, Buzz & Woody, and the Incredibles. This is both a treat for the kids and a walk down memory lane for kids of all ages. Hamilton's favourite sons, The Arkells recently announced a cross Canada tour in support of their 5th studio album Rally Cry. After playing a sold out show "The Rally" in Hamilton in June, they are skipping their hometown in favour of the big smoke, playing Toronto on Saturday February 16th. Heavy Metal legends Disturbed have announced plans to take their latest album Evolution across the world on the appropriately named Evolution World Tour. The first leg kicks off in California in January and will them crisscross the continent in 2 months before taking a break and heading to Europe for the second leg in April. They play the Scotiabank Arena in Toronto on March 4th 2019. Country superstar, Eric Church is doubling down on his 2019 tour. The Double Down Tour will see him play 2 different shows on back to back nights, in 19 different cities. The tour makes it's only Canadian stops Friday and Saturday March 8th and 9th. Rock n Roll Hall of Famers KISS are hitting the road one last time. On the America's Got Talent season finale, frontman Gene Simmons announced that this will indeed be the last tour. The End Of The Road World Tour kicks off Janary 31st in Vancouver and stops at the Scotiabank Arena in Toronto on March 20th. British electro-rock trio Muse recently released their 8th studio album, Simulation Theory and announced a world tour to support it. The first leg crosses North America, starting February 22nd in Houston and stops at the Scotiabank Arena in Toronto on March 28th. Let the rebuild commence! After igniting their fans across the country for 2 electrifying summers in 2015 and 2016, Toronto's boys of summer had decidely down seasons in 2017 and 2018, while clinging to the hope that if everything went the right way, they could still contend in the American League East. That was not to be, and now the team is rebuilding to get competitive in 2020 and beyond. The future is bright, what with sensational slugger Vladimir Guerrero Jr and an exciting crop of youngsters getting ready to crack the roster in 2019. Ariana Grande recently announced her 2019 Sweetener World Tour and released the eponymous album. The first leg crosses North America, starting March 18th in Albany and stops at the Scotiabank Arena in Toronto on April 3rd. Shortly before playing a sold out Toronto show in November, Fleetwood Mac anounced another leg of their world tour, including another stop at the Scotiabank Arena April 8th. As previously reported, the tour will see Mick Fleetwood, John McVie, Christine McVie, Stevie Nicks joined on stage by Mike Campbell, the longtime lead guitarist for Tom Petty & The Heartbreakers, and Crowded House frontman Neil Finn, who were recruited to replace Lindsey Buckingham. The original musical diva, Cher, recently announced the Here We Go Again North American tour. The 72 year old legend's tour kicks off January 17th in Fort Myers FL and wraps up May 18th in St Paul MN. There are currently 2 Canadian shows on the tour, Monday April 22nd in Toronto and 2 nights later in Ottawa. Pop music icon P!NK recently announced an extension to her epic "Beautiful Trauma World Tour". After playing 2 sold out shows the tour will be back for two more shows in Toronto at Scotiabank Arena in May 2019. Pop punk darlings Twenty One Pilots recently announced an extension to their "Banditos World Tour". After playing the European leg in early 2019 they return to North America, primarily Mexico and Canada in May and will play two more shows in Toronto at Scotiabank Arena in May 2019. The 1975 recently announced their 2019 tour. In support of their 3rd studio album, A Brief Inquiry Into Online Relationships, the tour will kick off in Guadalajara, Mexico on March 20 before returning for their North American run in Phoenix on April 15. Special guests No Rome will appear as the opening act when the tour wraps up in Toronto on June 3rd. 80's pop legends New Kids on the Block are back on the road, this time with the Mixtape tour. Donnie, Jordan, Jonathan, Danny and Joey will all be back at the Scotiabank Arena in Toronto on Wednesday June 19th. Having recently wrapped up his Ridiculously Self-Indulgent, Ill-Advised Vanity Tour "Weird Al" Yankovic is looking ahead to 2019 with the announcement of another run of dates. Yankovic has announced the 64-city "Strings Attached" tour, which will see him and his band supported by a symphony orchestra and backing vocalists every night of the trek. He makes his lone Toronto appearance at the Bud Stage on July 8th. In case NKOTB in June wasn't enough, late 80's early 90's boy band compatriots Backstreet Boys will be here in July. Yup, AJ, Howie, Nick, Kevin and Brian will be back at the Scotiabank Arena on July 17th. Following their first tour in 35 years, Jeff Lynne and his Electric Light Orchestra decided to do it again in 2019, recently announcing a 20 date North American tour in the summer. The tour stops in Toronto on Thursday July 18th. Canadian crooner Michael Buble recently announced plans for a North American tour in support of his latest album Love (displayed as a heart emoji). The North American tour is meant to be the initial leg of a world tour, and to play for as many of his Canadian fans as possible, there are 9 Canadian dates on the list, including Toronto on July 22nd. Following the release of their mobile game and comic book of the same name, heavy metal rock gods Iron Maiden are continuing their Legacy of the Beast world tour,taking over North and South America in summer 2019. The icons play their only Toronto show at the Bud Stage on Friday August 9th. Rock n Roll Hall of Famers KISS are hitting the road one last time. On the heels of selling out the first leg of the North American tour, and a Toronto stop in March, the rockers announced a r eturn to Scotiabank Arena in Toronto on August 17th. Shawn Mendes is coming home. The 20 year old pop star recently announced a world tour spanning most of 2019. The tour kicks off in Amsterdam in March, and wraps up in New Zealand in November. The Toronto heart-throb will play his largest venue to date, when he plays the Rogers Centre on September 6th. 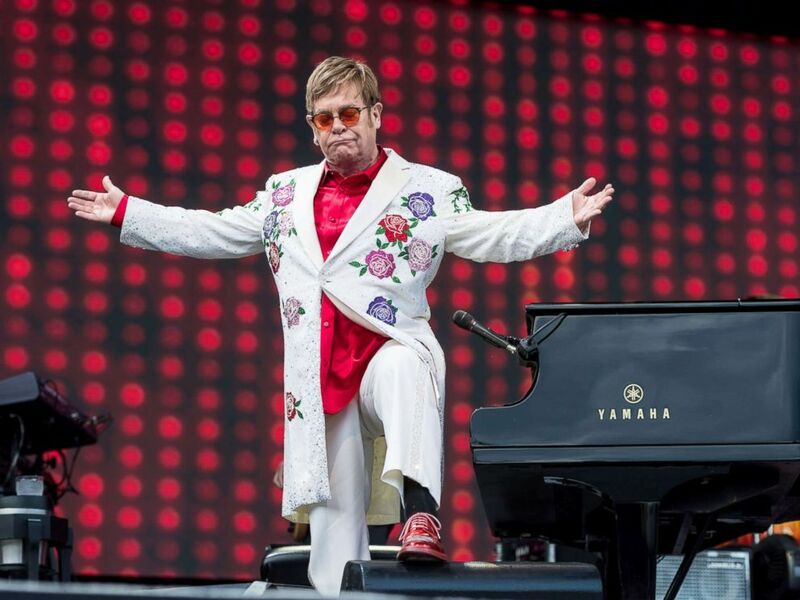 Following two sold out shows in September, music icon Elton John announced 3 additional Toronto dates his final tour, "Goodbye Yellow Brick Road". Sir Elton will be back to plays three shows in Toronto at Scotiabank Arena (formerly the ACC) in October 2019. Note 13% HST and shipping (if applicable) are not included in above prices. Email us anytime at sales@BayStreetTickets.ca and we will get in touch with you ASAP, or visit our contact page for other options. Tickets sold through BayStreetTickets.ca are often obtained through secondary market ticket sellers and are being resold, in many cases, above the price or "face value" listed on the ticket. Unless stated otherwise, ticket brokers are not directly affiliated with any performer, sports team, or venue; and ticket brokers do not act as a primary sale box office. Furthermore, the purchase price for tickets on these ticket broker websites does not reflect the original purchase price of the ticket and may be either higher or lower than the original purchase price. After the NHL lockout that threatened to cancel another season of Maple Leafs hockey in Toronto was resolved, and GM Brian Burke was unceremoniously fired a week before the shortened season started, new GM Dave Nonis provided head coach Randy Carlyle with a few key pieces that propelled the Leafs into the NHL playoffs for the first time in 9 years. The Maple Leafs were put to the test in the first round, matching up against the big bad Boston Bruins, a team that had dominated the Buds over the past 3 seasons. Despite the supposed mis-match, the Leafs pushed the Bruins to the brink of elimination, first forcing games 6 and 7, and then, jumping out to a 4-1 lead with 10 minutes left to go in game 7. Unfortunately, it was not to be as the Leafs went on to an epic collapse and lost 5-4 in Overtime to be eliminated. They say you have to lose before you can win, so one can only hope that the young Buds learn from the experience and build on it in the future. Recognizing what his team needs to improve, this off-season GM Nonis added key pieces in potential #1 goalie (and Cup-winner) Jonathan Bernier in a trade with L.A, gritty centreman (and 2 time Cup Champ with Chicago) David Bolland, and then followed those moves up in Free Agency by signing a second Toronto- born and raised player (in addition to Bolland) in rugged power forward David Clarkson, ex of the New Jersey Devils. Get your Home OR Away tickets now!